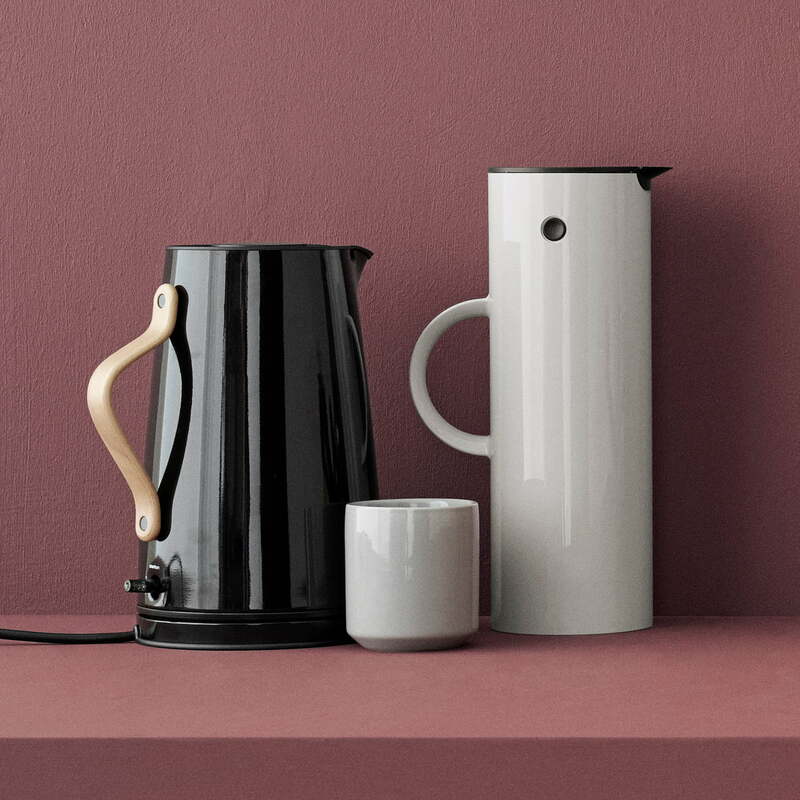 The kettle extends the multiple award-winning tea and coffee series Emma by Stelton. 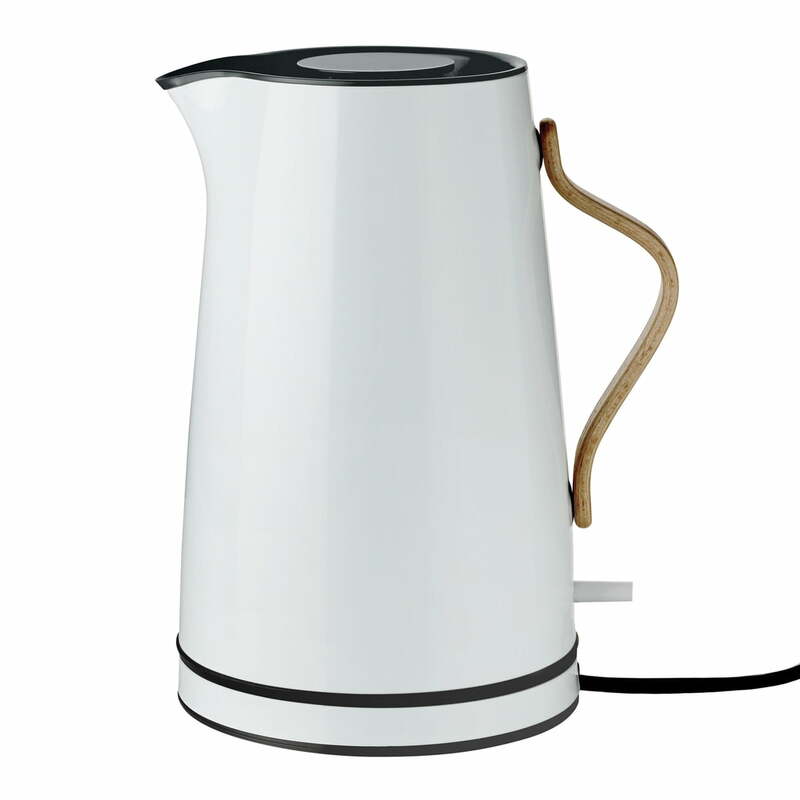 The cordless kettle made of stainless steel is equipped with an automatic switch off for when the water has boiled and features a 360° swivel base. It has a capacity of 1.2 litres and features a limescale filter, an insulated double wall and a dry run safety mechanism. The light blue kettle fits in perfectly with the other blue tone on tone shades from the rest of the Emma series. 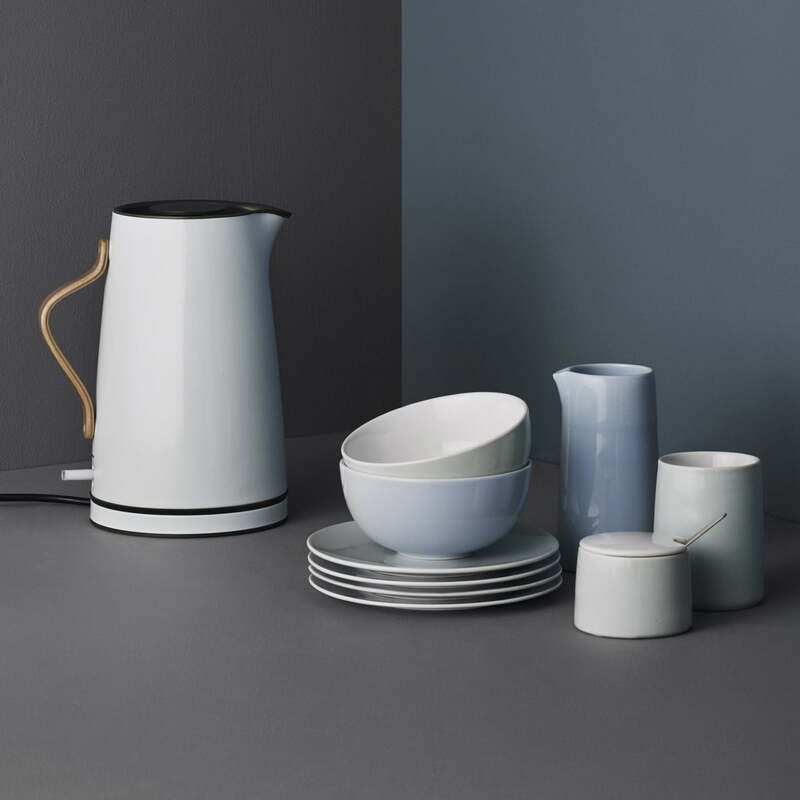 With the Emma kettle by Stelton, the designer duo HolmbäckNordentoft created a kitchen device that is so attractive, it can be placed directly on the table. We’ve owned many kettles over the years including Dualit but have never spent so much on one before this Emma. Beautifully designed, quiet due i’d Guess to the double skin surface, lovely switch with integral light and a really nice balance when pouring. Some have said the lid lets it down but I don’t find that. Overall The Emma exudes quality and refinement and looks stunning. All in all, you get what you pay for, and you have to pay for good design sometimes. Really lovely colours and handle. Bit disappointed to find that the base of the kettle, which is white, has black scuff/scratch marks, when I took it out of the box. It's not worth sending back, of course, but thought Stelton might have better quality control. Quick delivery from Connox and I do love the look of the kettle overall. Already bought the grey one, my friend saw it and wanted the same one. So bought it as a gift! 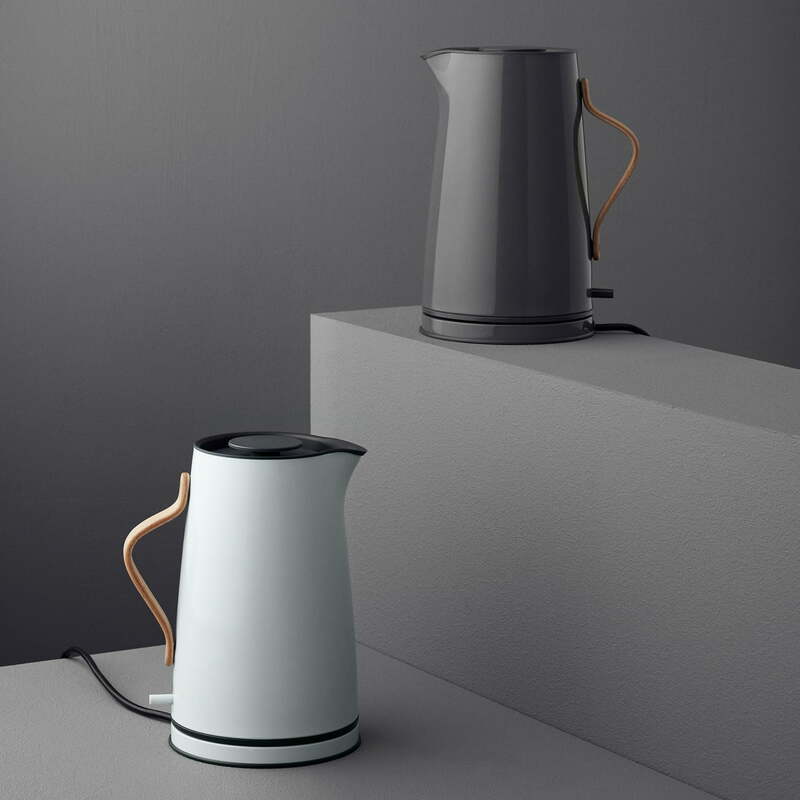 Like all the Emma series from Stelton this kettle looks extremely eye catching. There’s no need to highlight this aspect of aesthetically pleasing appearance of Emma, it is a matter of fact! What I really would like to focus on is its function. The Emma Kettle heats up very quickly, works quite, while keeping water hot for long time. Stylish look, very good accessorie in the kitchen. Size is enough (though you can’t see the amount of water outside). Satisfied with the purchase. I was looking for a stylish new kettle for our kitchen for a while. 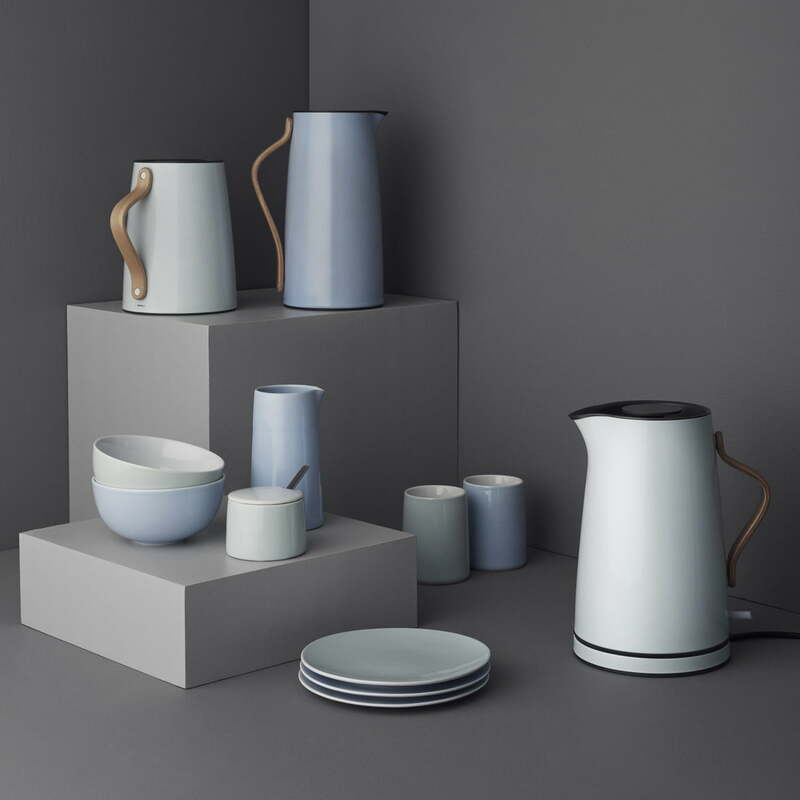 The Stelton Emma stood out straight away and I initially purchased the white. However, I decided to change it to the grey and I am so glad I did. The grey works really well in my space and looks a lot more expensive than the white. We asked for this kettle for Christmas and now enjoy it every day. It looks really great. Very easy to use and recommendable - it's admittedly more expensive than other kettles on the market, but for that offers style and good technology. Only the lid seems on the cheaper side, but it gets four points from me. We were looking for a white kettle for our kitchen. 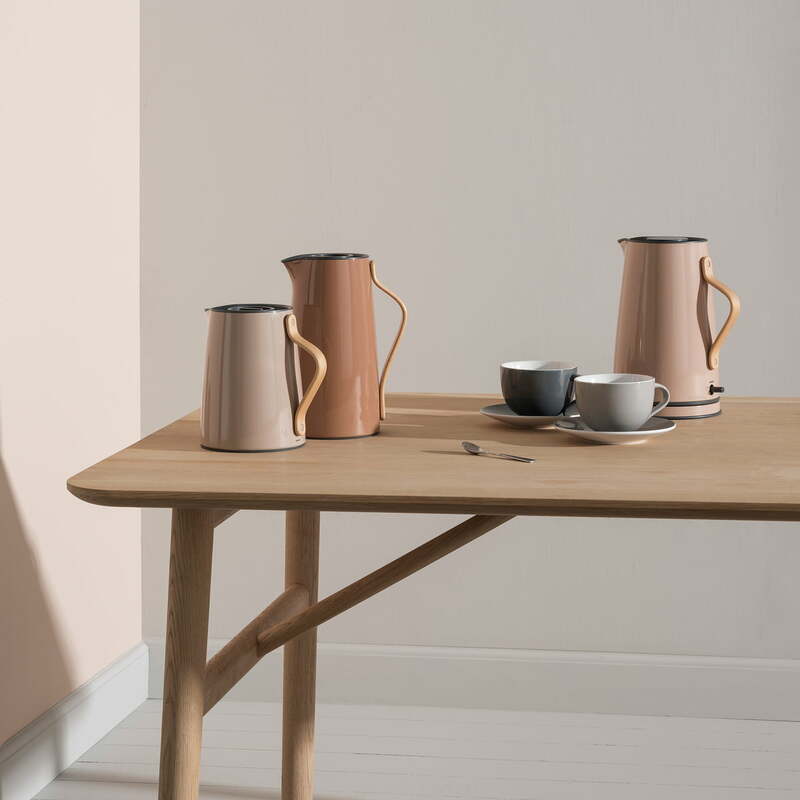 Stelton Emma caught our eye straight away because of how beautiful it looks. I've taken one star away because the lid didn't seem particularly high-value. Overall though a very good looking product. I love this design, however Connox does not sell with U.K. plugs. 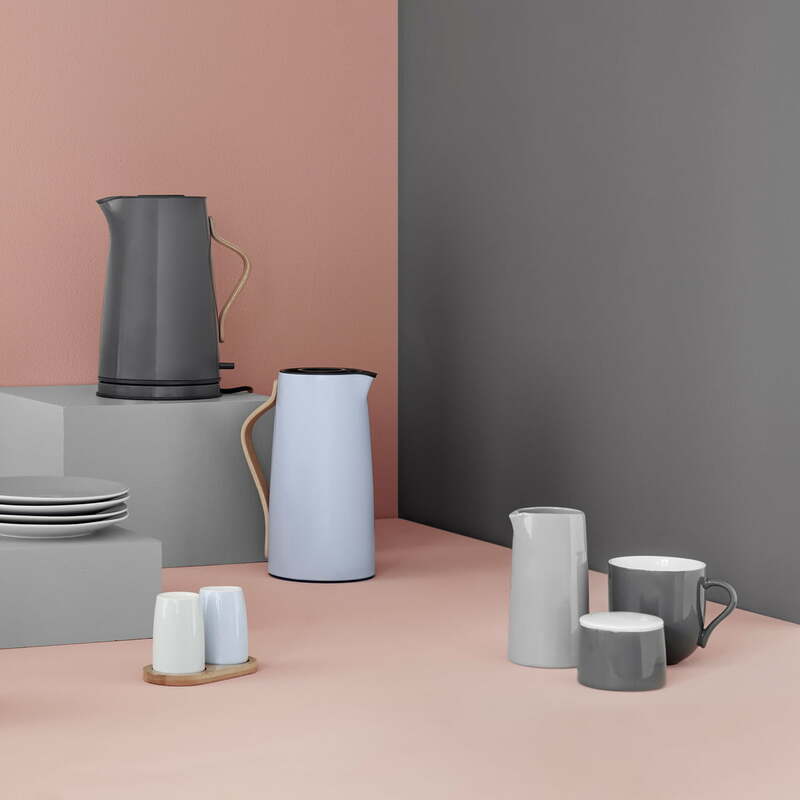 The Core thermos mugs by Stelton are the ideal complement to the EM77 vacuum jug and are optimally matched to the colours of the jug and the products. This way, they fit perfectly to the Emma kettle.